To enquire about any of our wedding cars feel free to contact us for a quote today. We promise to make your wedding transport a truly beautiful experience.. Here at wedding car hire we understand that planning a wedding can be a stressful process. So, if you are in the middle of planning your wedding but are stuck on which transport to book, how to book it or when to book it, we’ve put together some of the most asked wedding car questions in a bid to help make things a little easier. Which wedding car should I hire? The first place to start is to think about which theme or style you imagine your wedding to be. The majority of couples do opt for luxurious cars such as, Bentley, Rolls-Royce or Aston Martin, but you could always book one of our retro looking motors. Popular choices are a VW Campervan or even a Ford Capri. However, we do cater for modern couples and themes with a range of modern cars. 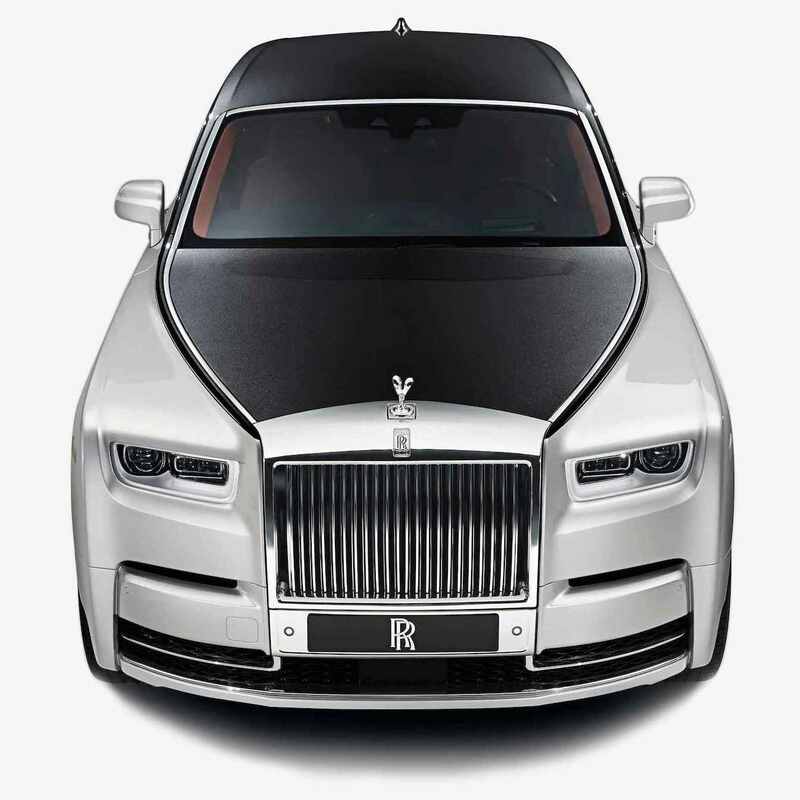 These vary from a Range Rover, to a Ferrari limo. When should I book my wedding car? Like most of your wedding prep, the earlier you book your wedding car the better. Many popular cars get booked up over a year in advance and so it’s always useful to be prepared. Of course, the earlier you book the more choice you will have. How many cars should I hire? 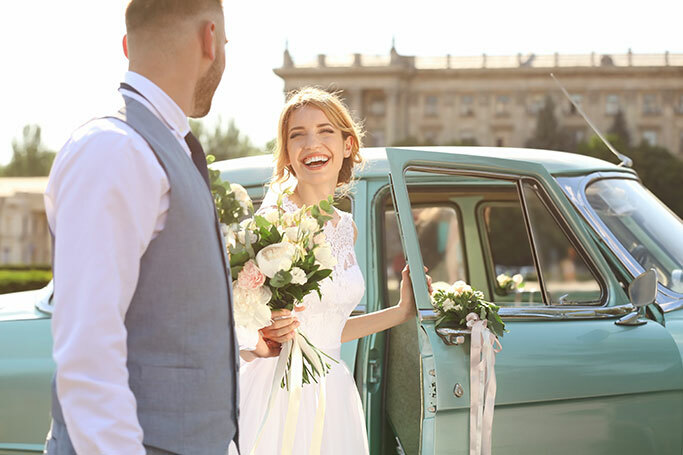 The majority of couples opt for booking just one car to travel the bride to the ceremony, and then the bride and groom to the reception venue following the ceremony. It’s very likely that you will stop at numerous locations during these trips for the photographer to take photographs whilst your guests find their own way to the reception venue. However, some do decide to go for more than one car. This is mainly for the bridesmaids and the Mother of the Bride. It’s best if you always check the cancellation policy before you book anything. Every single wedding car company will ask for a deposit upon booking, which is usually non-refundable. A tip to consider is taking out some wedding insurance, which will most likely cover the cancellation reason. However, you should indeed check your wedding insurance as well. How do I save money on our wedding cars? If you want to do a few trips in one car, then you may have fork out a bit of extra cash. Basically, the more miles you use the more money it will cost. So, a top tip is to try and keep all trips short, which means roughly 10 minutes maximum. Other tips to keep in mind whilst booking your wedding car is, discount deals, decoration, and arrival times. To enquire about any of our wedding cars feel free to contact us for a quote today. We promise to make your wedding transport a truly beautiful experience.